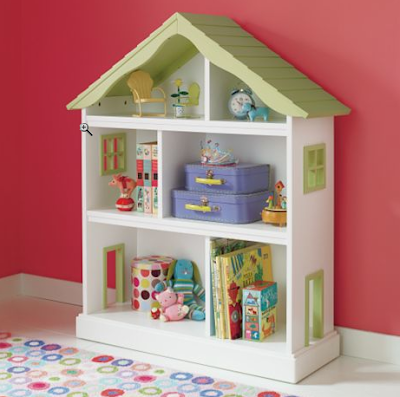 Looking for a piece of furniture for your daughter's room which is whimsical, playful, and functional? If so I would recommend purchasing a dollhouse bookcase. 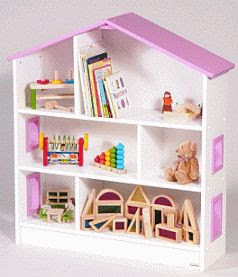 It can be used as an actual bookcase or as a large dollhouse and girls just LOVE them. I personally like them because they are an instant statement piece in a room. We used to carry the line Bradshaw Kirchofer (pictured above and below) at Sprout. Although the Bradshaw Kirchofer designs are the most expensive, they are still my favorite choice. Notice the detail on the chimney, scalloped roof, and mini picket fence. They are also made-to-order so you can choose from over 20 different paint colors to match your room. This is the only dollhouse bookcase that I found whose finish comes distressed (although you can order it non-distressed). 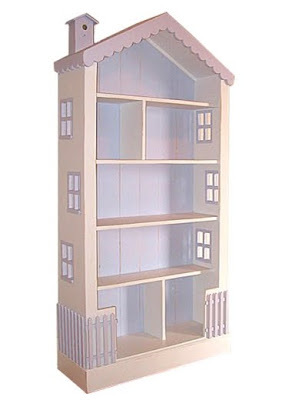 It is also the only dollhouse bookcase which comes fully assembled (hence why it ships freight for $150). 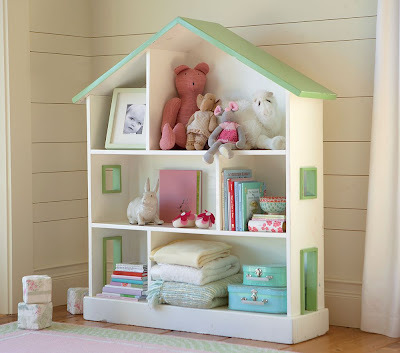 Now if you like the look but don't want to shell out $800, the Land of Nod and Pottery Barn Kids have recently come out with their own versions of the dollhouse bookcase. Interestingly both come painted white with green accents on the roof and windows. As you can see from the photos below, the details are much simpler than those in the Bradshaw Kirchofer style above and you don't have color choices but the price is much more reasonable. The only catch is that assembly is required and the pieces do not have a distressed finish. If $300 is still too high for your budget, I have one more option for you (besides building one yourself). 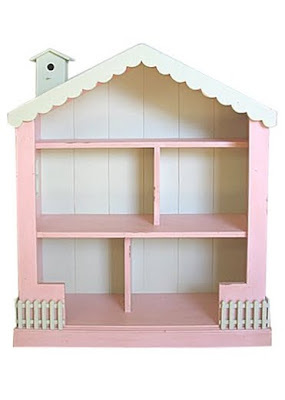 Guidecraft makes a very simple pink and white bookcase for $270 (I found one below for $210). Since the prices of this hublot replica are extremely low, anyone and everyone can afford them. Sometimes people get cheated and buy a worthless watch that is passed on to them as a hublot replica. Do not misunderstand the watches for a bad quality watch. In fact most of the hublot replica sale run as nicely as the branded ones does. Their mechanisms are the same and the A grade ones get them sources from Switzerland. However there are a type of people who do not have any faith in cartier replica for sale. These people should invest some money and purchase one of these hublot replica sale and wear them for a few days. The brand, with manufacture facilities established in Saint-Imier, Switzerland since 1832, marked the occasion through holding festivities at the Genevan Cite du Temps.